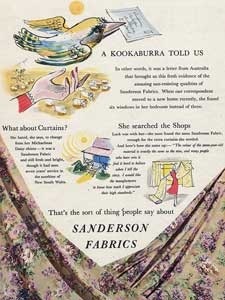 Vintage full page magazine ad. 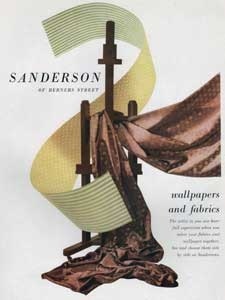 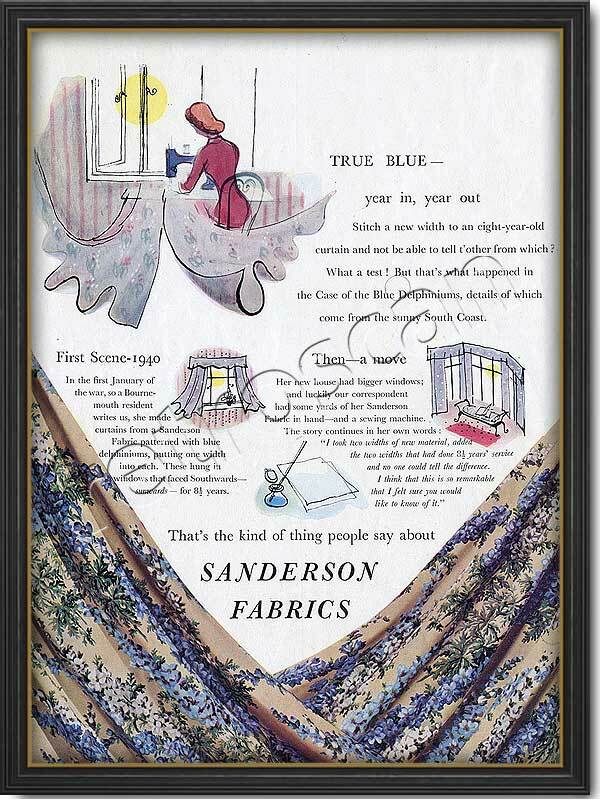 Distinctive and beautifully illustrated ad for the well known fabrics and wallpaper manufacturer Sanderson. 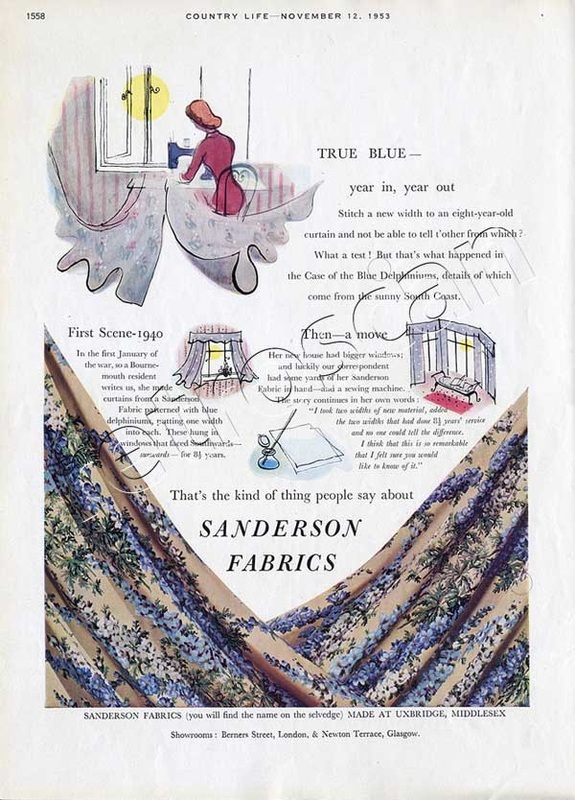 Part of an extensive campaign this ad discusses durability.